I purchased a large quantity of these for my wedding. Unfortunately, the picture is not an accurate depiction of what was purchased. 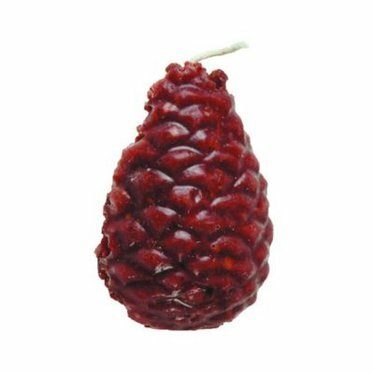 The actual product is not a full pinecone shape, in fact they are half of a mold. More importantly they are not burgundy. They are all different colors, green, brownish and light red. If you are looking for a consistent wedding favor these are not the right product to purchase. Lehman's says: We have updated our description that the color of this product varies. We are sorry for the problem! I purchased this item last year and they are GREAT. No need for kindling. I don't remember how many fire starters are included in a package and the description doesn't tell me. . .
Made in USA. So easy to use. Non-toxic. No mess. Many good things about this product! I love these. An easy way to get a quick fire. I nestle it among a small amount of kindling (only use kindling as a means to allow my grandson to help make the fire) and in not time at all, we have a great fire - indoors and outside! This item works wonders when trying to start a fire, and there's no mess at all!